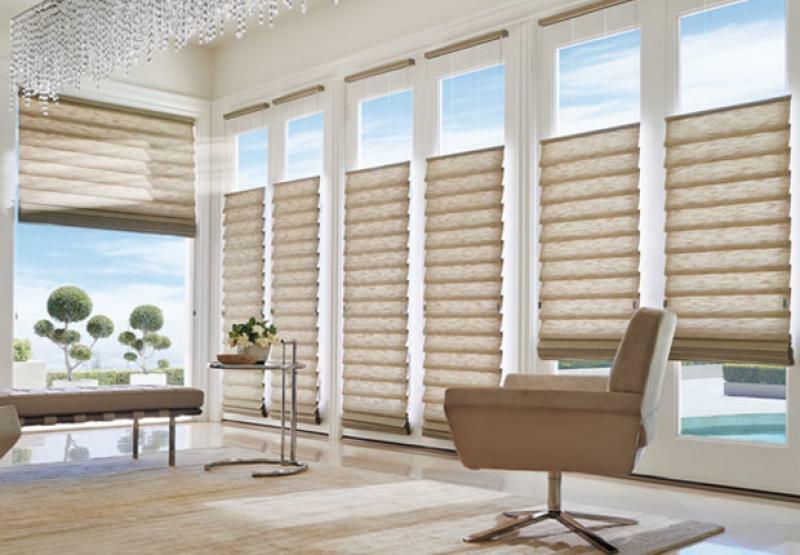 Hunter Douglas has long been known in the window treatment industry as a market leader in innovative window shades and blinds that are highly functional and yet incredibly stylish. They offer the largest and most diverse selection of window coverings that have an impressive array of features such as child safety, energy efficiency and variable light control. From cordless and motorized operation to "Top down / Bottom up" options, they continue to provide the most exclusive and advanced technologies in the market. All of these features are second only to their signature: Beautiful Light Control. Hunter Douglas designs their products with a wide array of fabrics and materials that offer varying degrees of room darkening. Their specially engineered fabrics can beautifully diffuse direct sunlight to make it softer and more ambient in a room, saving energy by reducing the need for artificial light. They are designed and assembled in Canada and the USA and are backed by a lifetime warranty. 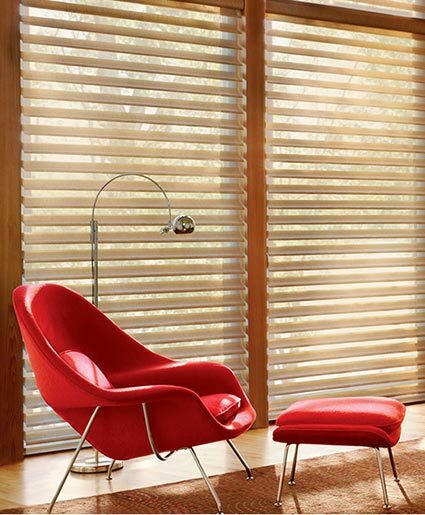 We're an authorized Hunter Douglas dealer at Eurofab and carry their entire selection of window treatments. To get you started, we've listed their most popular products below. For more information, see our blinds and shutters section or speak to one of our design consultants to help choose the best options for your home. The signature S-Vane™ that floats between 2 sheer panels of fabric allows for infinite adjustability of light and privacy. Tilting the vanes in either direction allows you to control the amount of beautiful ambient light you allow in. Floating fabric vanes attached to a sheer panel adjust for clear views to the outside while obscuring views to the inside of your home. When closed, they look like a modern shade and are a gorgeous choice for a window treatment. Invented in 1985 in response to the energy crisis of the 1970s, the Duette honeycomb shade was designed for energy efficiency at the window. For even more energy efficiency, ask about the Duette® Architella® shades. They feature honeycomb-within-a-honeycomb construction and are the most energy-efficient Hunter Douglas window covering. The old world favourite with a modern spin. 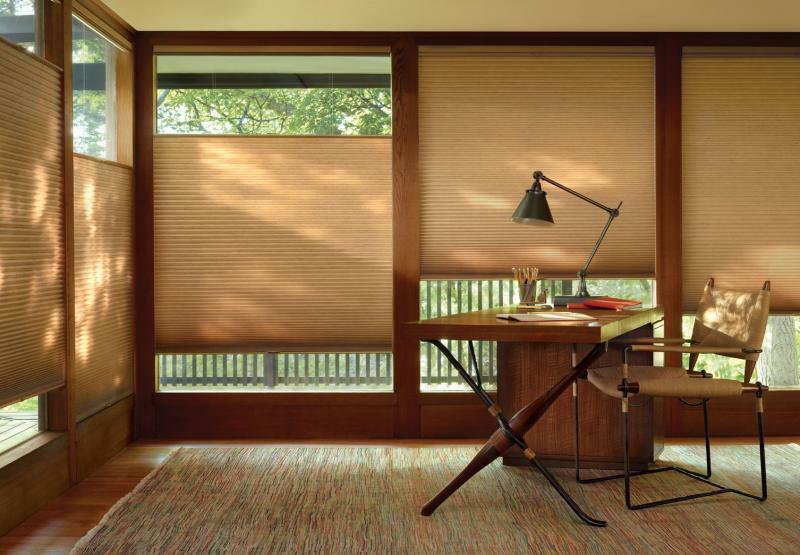 The Roman Shade from Hunter Douglas that rolls, stacks or traverses, all while keeping the window clean and uncluttered with no exposed rear cords. Children and pets are also safe from the danger of cords normally present with Roman Shades. Ideal for larger windows and sliding glass doors, Luminette® vertical sheers feature 180-degree rotating vanes to control light and privacy. These beautiful drapery-like sheers will transform any wide windows or patio doors instantly. Another Hunter Douglas take on a classic window covering. Panel track blinds get a makeover with Skyline® Gliding Window Panels that provide a sleek, contemporary look. 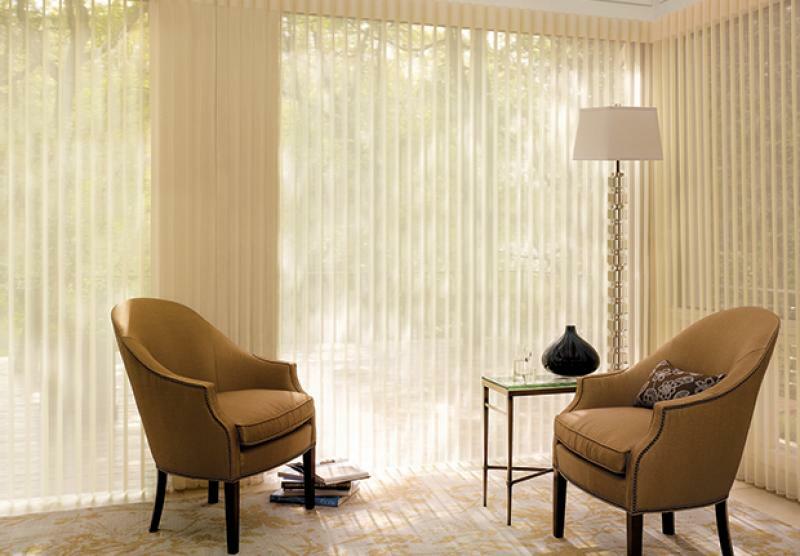 For timeless beauty and long-lasting quality, choose Hunter Douglas window treatments. They are an investment in both the aesthetics of your home as well as its value. 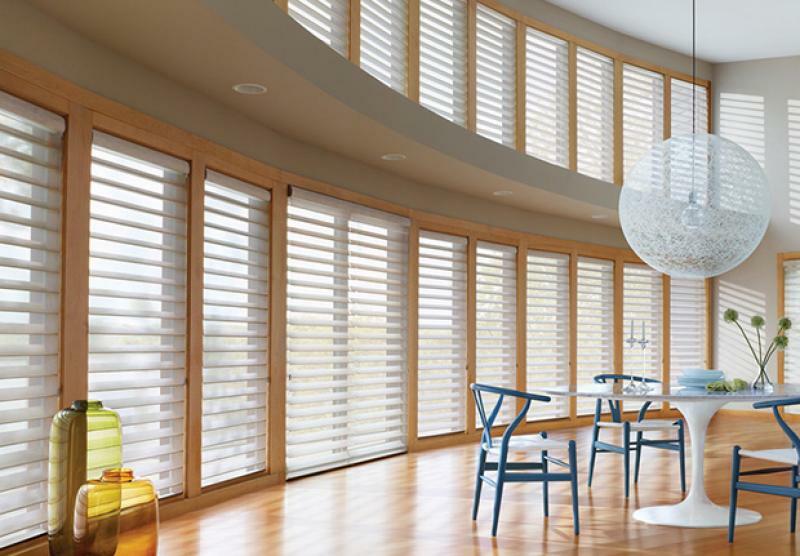 Call us today to book your free in home consultation* and remember to see our blinds and shutters section for more information on Hunter Douglas blinds and shades.